Individual users via their personal PIN, swipe cards, proximity fobs or Smartcards can easily operate Expert Security's professional access control systems. For your home or commercial property, Expert Security uses state-of-the-art technology and professionally trained employees to secure your property, your assets, and your peace of mind. 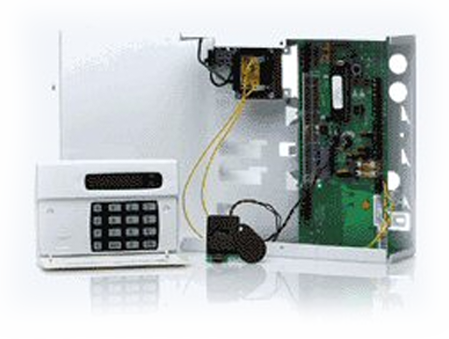 Offering both Domestic and Commercial Alarm Systems of the greatest quality. 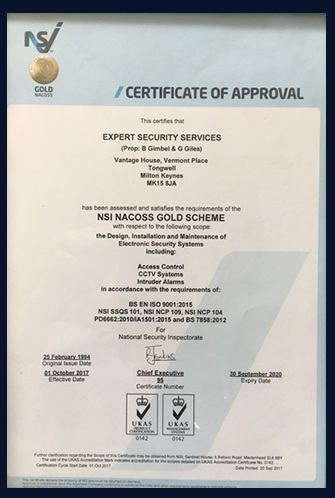 We are dedicated to delivering to our customers a level of security that only a “NSI Nacoss Gold” installer can offer you. Expert Security is focused on providing its customers with complete security systems consulting and service, tailored to your specific needs and backed up by years of technical know-how and troubleshooting experience. 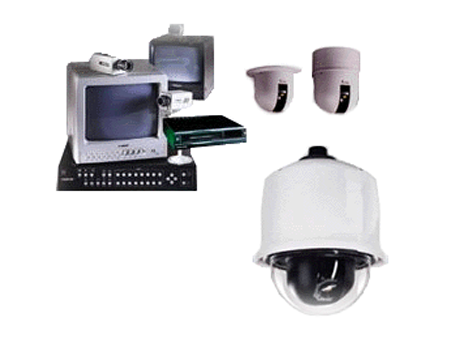 Whether you require a basic system, high-end CCTV/Access Control, or a home system we have the system for you. Please feel free to contact us now to discuss your requirement. We are aware that value for money and quality are only part of a good deal – the rest is service. Once you are our customer we will go the extra mile to look after you! 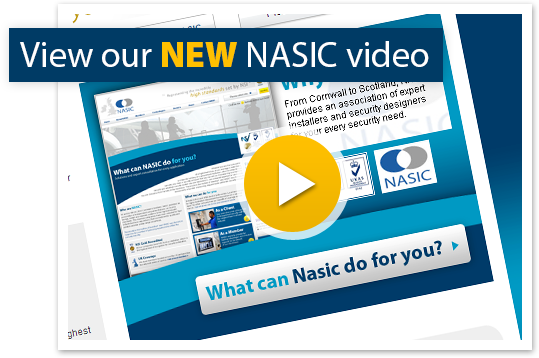 All across the UK, from Cornwall to Scotland, NASIC provides an association of independent companies that you can trust to design, install and maintain systems to the highest industry standards. The member companies have been selected for their established local reputations, their commitment to quality and ability to provide a wide range of services. Take a look at the types of installation we can provide by clicking on the link below. 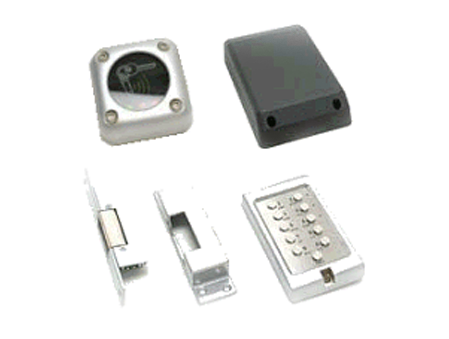 Take a look at the types of security alarms we provide. 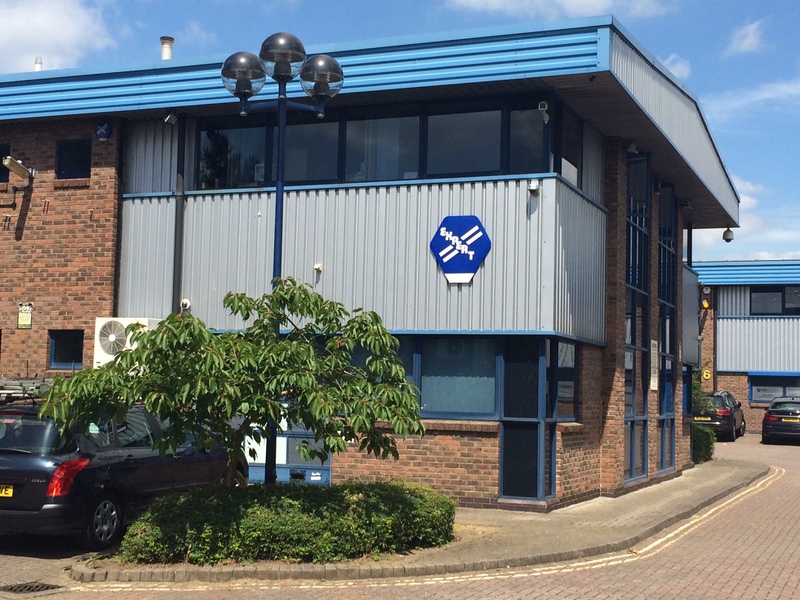 We offer anywhere from CCTV to access control so read more to find what it is you are looking for. Need help understanding exactly what it is you are looking for? Look no further as we can tell you what it is you really need.